I hope your 2018 is off to a great start! It’s hard to believe we’re already heading toward spring, but as that’s the season for renewal and fresh growth, the timing seems entirely appropriate. Sometimes I’m amazed at how much can happen here at the UFCVM, even within a few short months. Here are just a few short updates from across the college. We previously announced the hiring of Dr. Juan Samper as our new associate dean for academic and student affairs. Dr. Samper is now fully on board and we’re grateful to have him here. In addition, in December we announced the hiring of Dr. Julie Moore as incoming chair of our department of infectious diseases and immunology, effective mid-May. 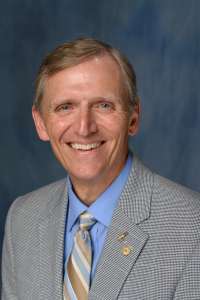 Dr. Moore is currently associate vice president for research at the University of Georgia and professor in the department of infectious diseases and UGA’s Center for Tropical and Emerging Global Diseases. She has been a faculty member at UGA since 1999. We are very pleased to welcome her to our team. In other leadership changes, we have launched a national search for our next associate dean for research and graduate studies due to the pending retirement of Dr. Ammon Peck, who has served in that role since 2012. Adding strength to this critical part of our mission, effective Jan. 1, I have also appointed Dr. Jorge Hernandez as interim director of graduate education and Dr. Rowan Milner as interim director of clinical and translational research. Each will lead development of a vision and strategy to help propel the college further toward our goal of achieving preeminence in their respective areas, and together they will work hand-in-hand with our new associate dean once hired. Dr. Rowan Milner, who has capably led our department of small animal clinical sciences as chair since 2011, will be stepping down from that position effective July 1, and the college has initiated a national search to fill the SACS chair position. As the UFCVM Hill’s Professor of Oncology and a recognized expert in medical oncology, Dr. Milner will continue working with the UF Veterinary Hospitals’ oncology service after stepping down as chair along with his new administrative responsibilities mentioned above. In addition, he will continue to pursue his own active interests in translational research. Finally, and with very mixed emotions, we announced last fall that Dr. Carlos Risco will be leaving his position as large animal clinical sciences department chair to become dean of the School of Veterinary Medicine at Oklahoma State University. Dr. Risco, who also happens to be a member of the college’s Charter Class, has been a UFCVM faculty member for 27 years and LACS chair since 2012. He is now off to Oklahoma and we wish him and his wife, Omi, the very best in their exciting new endeavor. I have appointed Dr. Chris Sanchez, also a UFCVM alumnus, as interim chair of LACS pending a national search. Continuing the success of last year, in which the college increased its extramural funding by 76 percent, our faculty once again significantly increased its extramural research award level, this time by nearly 20 percent to over $22.6M. Importantly, our faculty took the lead on two large collaborative multi-college, multi-institutional and multi-million dollar grants, one in neuro-respiration, funded by the National Institutes of Health, and the other in vector-borne diseases, funded by the Centers for Disease Control and Prevention. As of December 2017, 445 students were enrolled in the college’s fully-accredited D.V.M. program and 766 (58 traditional and 708 online students) were pursuing graduate degrees. In addition, the college currently offers advanced clinical training to 59 residents, 12 interns and one fellow through the UF Veterinary Hospitals. The college’s new Clinical Skills Teaching Laboratory, which celebrated its two-year anniversary in August, recently received the top design-build award in the education category in a statewide competition sponsored by a leading design-build group. The UF Veterinary Hospitals made significant progress in many of the goals articulated in the past two years through our strategic planning process. These goals include enhancing the hospital’s reputation in specialty services, improving its operational model, enhancing communication to referring veterinarians, maximizing student learning opportunities and investing in the staff, house officers and faculty. The college continues to expand the clinical trials program and is actively pursuing accreditation of its diagnostic laboratories through the American Association of Veterinary Laboratory Diagnosticians. The Night in the Swamp outreach program, which provides regional veterinary medical associations with continuing education over dinner, continues to thrive. Since the program’s inception three years ago, we have held 45 events at 22 VMAs in Florida, greatly increasing our college’s visibility and providing a needed service to the veterinary medical community. Overall hospital caseload continues to grow. Clinical service net revenue for the UFVH grew by 13.7 percent in FY 2017. Our caseload consisted of 36,616 in-hospital patients, including large and small animals, and in addition, 36,227 farm animals. The UF Pet Emergency Treatment Service in Ocala saw a net revenue increase of 11.5 percent and an overall caseload increase of 6.8 percent with 5,954 patients. In addition, we completed a major expansion project at UF PETS this fall, adding 2,500 square feet to the existing 5,200 enabling us to better accommodate the growing caseload. This past fiscal year marked yet another record performance for fundraising in the College of Veterinary Medicine – raising $34,324,180 in charitable gifts. Support from friends of the college, which include grateful clients, contributed significantly to this success. The Dean’s Circle of Excellence continues to grow, having now raised $2,451,483, an increase of 8.45 percent over the previous year. Our Veterinary Access Scholarship program, a key college initiative to reduce student debt load, already has garnered over $19,500,000 in cash, pledges and estate commitments. As you can tell, we’ve been busy, but we’re proud of what we’ve accomplished and grateful to see the fruits of everyone’s labor coming to pass. It feels so appropriate to celebrate the coming of spring. James W. Lloyd, D.V.M., Ph.D. Previous messages from the dean can be found here.